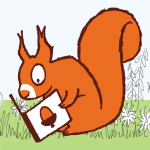 Alpha, by French author Bessora and award-winning graphic novel and picture book artist Barroux, goes right to the heart of today’s political landscape. Books from Scotland introduces Alpha and showcases some stunning illustrations from this timely forthcoming book. Alpha is a powerful collaboration by French author Bessora and award-winning graphic novel and picture book artist Barroux. Alpha tells the story of protagonist Alpha Coulibaly, whose wife and son have left Abidjan on the Ivory Coast for Paris. Travelling without visas, Alpha cannot contact them. Finally, in desperation, he sells up and attempts to follow. With a visa his journey would take hours; without one it takes months. 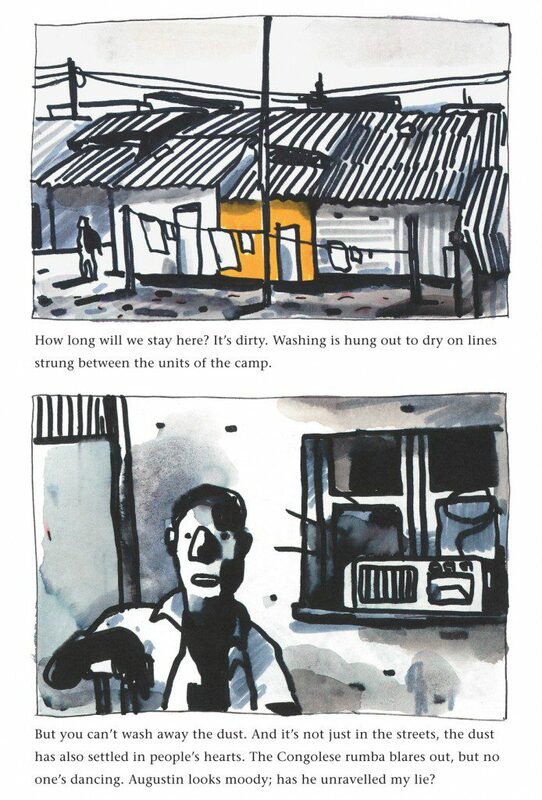 Alpha is a story of endless dirt roads, refugee camps, people traffickers, perilous sea crossings and constant danger. 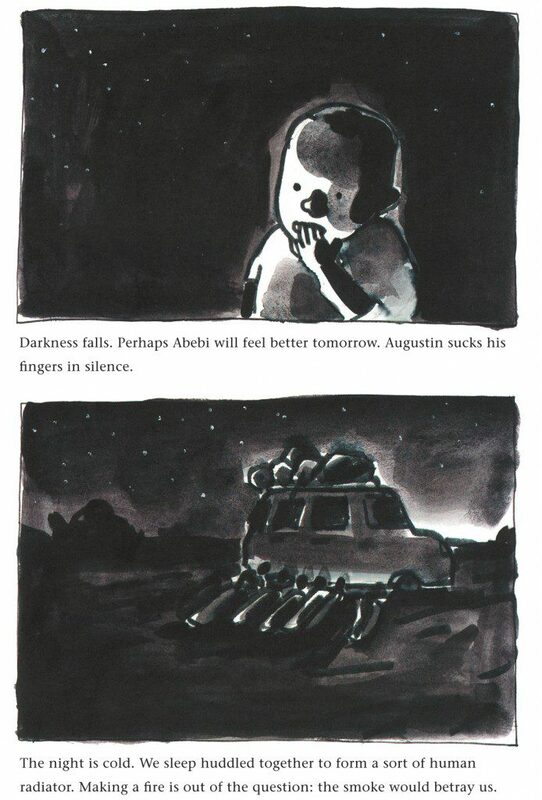 Along the way Alpha meets an unforgettable cast of characters – wannabe footballer Antoine, little Augustin, the beautiful, damaged Abebi – whose varying experiences challenge dehumanising discourse around migration. 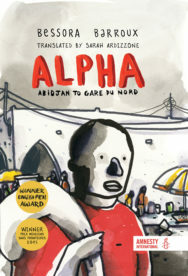 Alpha is translated from French into English by Sarah Ardizzone and it is introduced by former Children’s Laureate Michael Morpurgo. 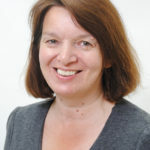 Mairi Kidd, the MD of publisher Barrington Stoke who commissioned the translation of Alpha into English, spoke to Books from Scotland about why the book is so important: “We believe that Alpha is quite simply a story that needs to be told. It is a first-person ‘diary’ that reminds us that each one of Cameron’s ‘swarm’ of immigrants is an individual. Bessora set out to have Alpha ‘whisper into the reader’s ear’ and his voice is very real, very human, complex, and often conflicted. In the light of recent political developments we are especially proud to publish a book that does not flinch from portraying the brutal reality of the great humanitarian crisis of our times. It is a cry for help and care. Of course, it is also a Scottish commission of a French translation. Vive les relations amicales entre nos pays!”. For the Alpha artwork, illustrator Barroux chose to create it using simple felt-tip pen and wash, materials that Alpha himself might be able to access. Books from Scotland is delighted to show you some spreads from Alpha below. Alpha: Abidjan to Gare du Nord will be published by Barrington Stoke as part of their Bucket List imprint priced at £16.99 for the hardback edition. Alpha launches at the Edinburgh International Book Festival with Barroux and a special live performance on Saturday 13 August. You can read more about this exciting event here, part of Edinburgh International Book Festival’s Migrant Stories series.